Happy Monday! I hope you all had a wonderful weekend! Mine was great! My girls sang at church with the kids choir and that always make my mama heart so full but the highlight of the weekend actually happened at Target of all places. The girls earn money throughout the week and can choose to save or spend their money when we are out during the weekend. They each only had three dollars left so all on their own they decided to put their money together to purchase friendship necklaces! It was seriously just the sweetest thing ever. I'm so excited to begin sharing some amazing pieces from BohoBlu with y'all! I had the pleasure of visiting their corporate office to build a spring collection filled with cardigans, tops, shorts, a jacket, dresses, jewels, a hat, and bags! 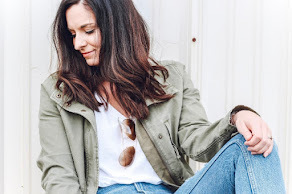 There are 22 amazing pieces in the collection I put together so I'm looking forward to styling and mixing these pieces here on the blog. Putting outfits together is my very favorite... I have a never ending love for playing dress up. 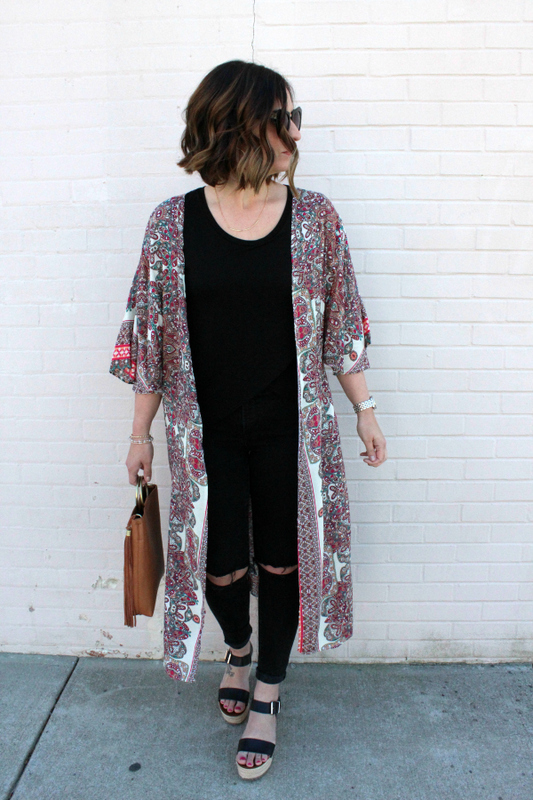 Today, I'm styling this stunning kimono cardigan (which was the first piece to catch my eye in a room full of gorgeous pieces)! 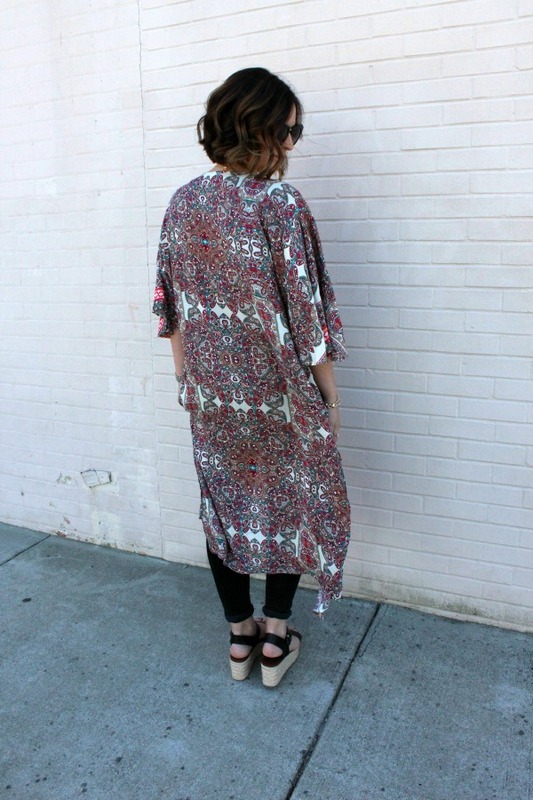 The colors are so pretty and the fit is one size so this would work for anyone! 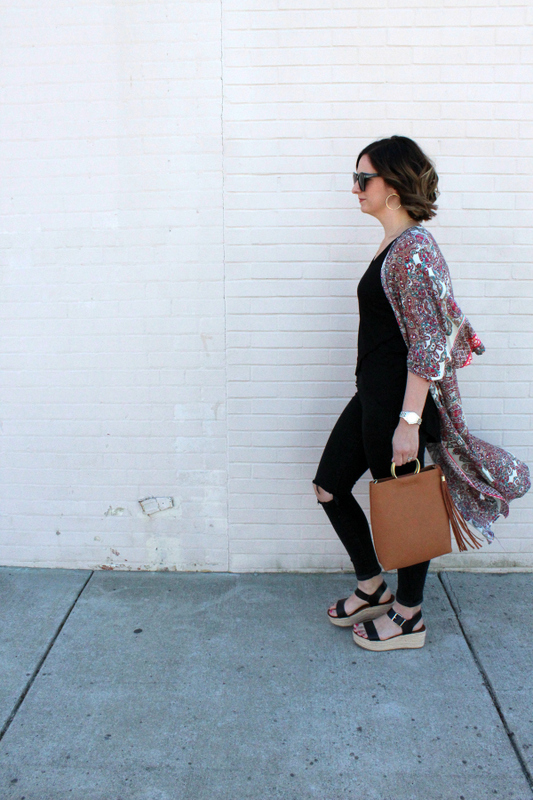 I kept the rest of the look neutral with this adorable tulip hem top, black denim, a neutral tan bag with the cutest details, a dainty gold necklace, espadrilles, studded hoops, and a beaded bracelet! 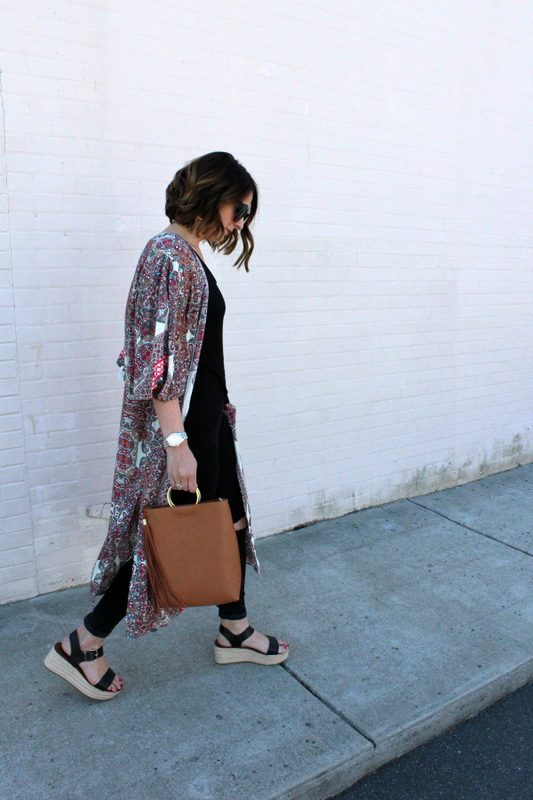 This boho chic look is one of my favorite outfits that I've styled this spring! Have a great day, y'all and thanks so much for stopping by! 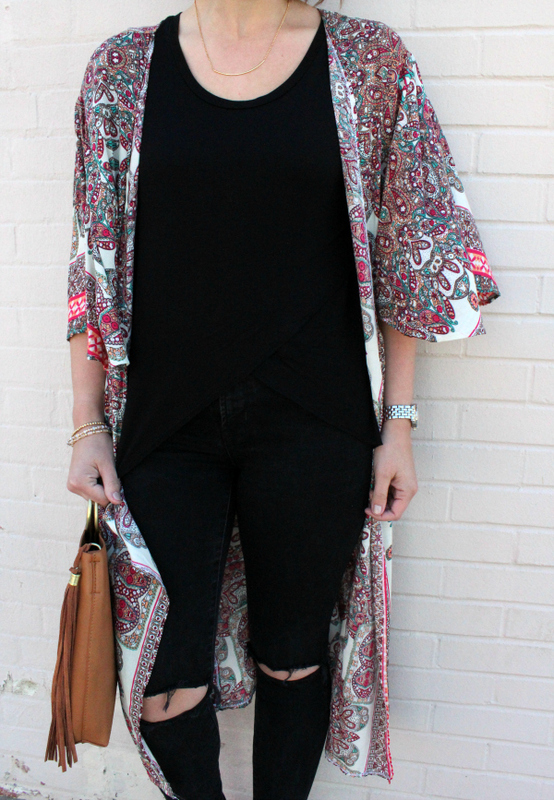 I love the way you styled this whole look! Happy Monday! 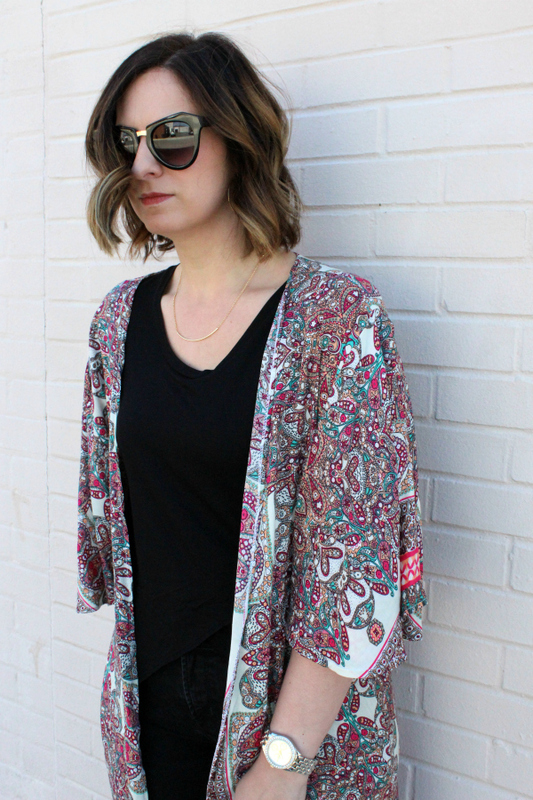 This cardigan is so gorgeous! I love the colors in the print. I need to check out their boutique asap! Your outfit is beautiful, love the bag. As a mom I always need a big bag to carry my kids toys and my makeup. This is a perfect outfit! 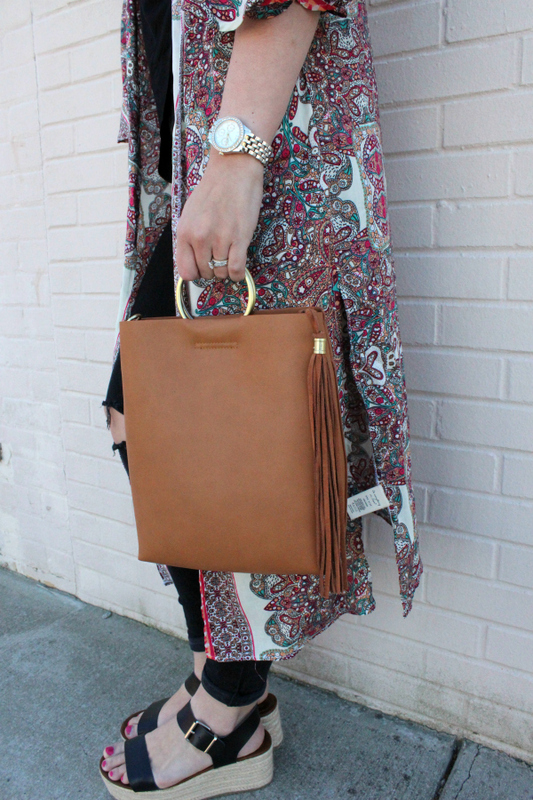 I am obsessed with this bag!! 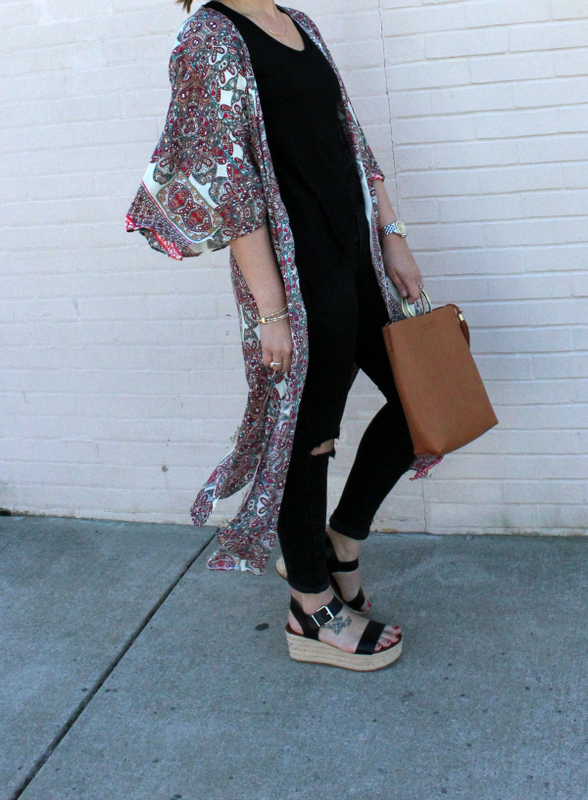 :) The boho style is so on point! Happy Monday! This is such a cute look! 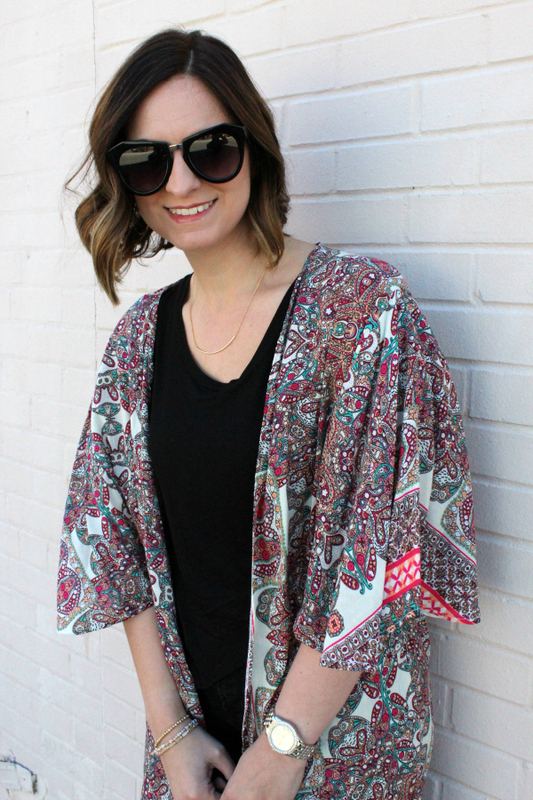 Love the pattern on that kimono!